Click on a ‘dot’ below to learn about the communities in the Nevadaworks service area. Nevadaworks has 70,172 square miles of service area, one of the largest single local workforce geographical areas in the country. From dense urban settings to sparsely populated rural towns, Nevadaworks delivers workforce services to all of these unique areas that over 700,000 people call home. Following the discovery of gold and silver on the nearby Comstock in 1859, Carson city became a thriving commercial center and has remained one of Northern Nevada’s principal communities ever since. Approximately 54,000 people live within Nevada’s capital of Carson City, with a skilled labor force of approximately 29,000. Major industries in the city are State Government, Service Providers, Education and Health Services, Manufacturing, Leisure and Hospitality, and Trade, Transportation and Utilities. There are many providers in the Carson City area; Western Nevada College and JOIN Carson City are active in the community and committed to the development of a skilled workforce. Northern Nevada Development Authority and the Chamber of Commerce are great resources for those individuals and businesses looking for more specific information about doing business in the Carson City area. For a complete list of the State of Nevada approved training providers, click here, or Contact Us for more detailed information about programs in the area. Churchill County is located east of Reno in northern Nevada with the city of Fallon serving as the county seat. 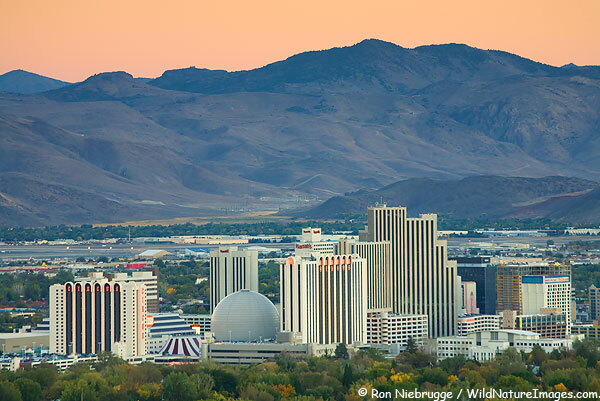 Because of its agricultural beginnings and an abundance of verdant fields, the area has been called the Oasis of Nevada. While agriculture continues to play a strong role in the community, Churchill County is an oasis for other reasons as well. The Churchill County Fairgrounds and the Fallon Convention Center play host to a variety events throughout the year. Churchill County also hosts Fallon Naval Air Station that is the home of the Top Gun fighter school. With its prime location and excellent weather featuring 309 days of sunshine per year, Churchill County is an excellent community for family, business and recreation. JOIN and Western Nevada College are two providers in the county that are active in the community. For a complete list of the State of Nevada approved training providers, click here, or Contact Us for more detailed information about programs in the area. Established in 1861, Douglas County has three towns: Gardnerville, Minden and Genoa. Minden, the County seat, has a population in excess of 2,000 people. The major employers in the County are in the industries of Gaming and Tourism, Research and Manufacturing, Government and Services. Douglas County is home to a Starbucks, Inc. roasting plant as well as to GE Energy. Douglas County has six elementary schools, three junior high schools, two high schools, nine public parks and vast recreational facilities. The Carson Valley offers a unique advantage of suburban and rural lifestyles. 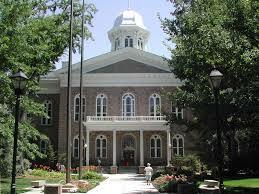 Carson City, the state capital, is located 15 miles to the north. Reno lies 45 miles to the north and Lake Tahoe is 15 miles west. For more information about doing business in Douglas County contact the Carson Valley Chamber of Commerce or the Northern Nevada Development Authority. For a complete list of the State of Nevada approved training providers, click here, or Contact Us for more detailed information about programs in the area. The county of Elko was organized in the year 1869. 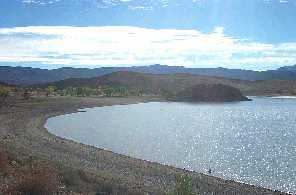 It is located in northeastern Nevada and is the second largest county in the state (17,135 square miles). Elko County is bordered on the north by Idaho and on the east by Utah. The City of Elko, the County seat, is 290 miles east of Reno, 241 miles west of Salt Lake City and 246 miles south of Boise. Elko County has four incorporated cities: Carlin, Wells, West Wendover, and the city of Elko. 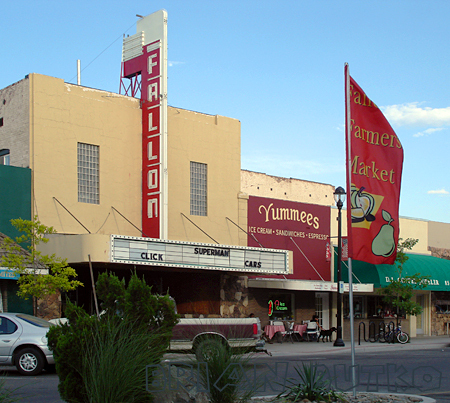 The city of Elko is the major urban area, with the remainder of the County primarily rural. Elko County has a population of more than 47,000 people and a labor force of more than 25,000. Mining has long been the driving industry of the area with major companies Barrick and Newmont main employers. JOIN Elko and Great Basin College are providers that are well-connected to the community and focused on strengthening Elko County’s workforce. For a complete list of the State of Nevada approved training providers, click here, or Contact Us for more detailed information about programs in the area. Legend has it that Eureka, Nevada, got its name when miners shouted, “Eureka!” – meaning I have found it – upon discovering gold in the 1860s. 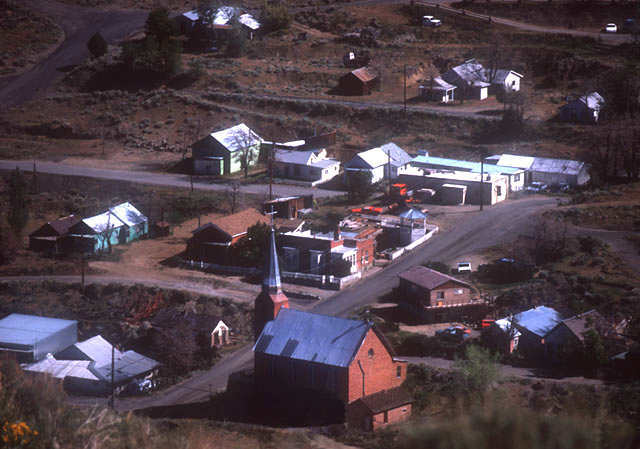 The county is centered around the town of Eureka, a historic mining town of 1,100 residents. It is on Highway 50 at an elevation of 6,500 feet. Many of the buildings that were constructed in the 1800s are still in use today. The County offers job opportunities in the mining, farming, construction industries, and in government services. Two major employers in the county are Barrick mines and Eureka Moly. It offers an outdoor lifestyle rooted in the historic West, with ample recreation nearby. The community of Eureka is very proud and much effort has been put towards the revitalization of the town. For a complete list of the State of Nevada approved training providers, click here, or Contact Us for more detailed information about programs in the area. Humboldt County is located in the rugged, high desert region of north-central Nevada, bordered on the north by Oregon and by neighboring Nevada counties to the west, south and east. The County’s 9,626 square miles offer some of the most varied, spectacular scenery in the state and a wide array of recreational opportunities. Winnemucca is the county seat and the main population center of Humboldt County. The County’s economy is derived in large part from its main industries: Mining, Agriculture and Agricultural Services, Tourism and Construction. The county is located in the rich gold mining center of the Western U.S. and is the leading agricultural county in the state of Nevada with over 100,000 acres under cultivation. Tourism is also a large part of the County’s economic base due to the large numbers of visitors the gaming industry brings to the area and the draw of the beautiful wide-open spaces, historical sites, and great hunting and fishing. Go to WinnemuccaWorks for information about area employment. JOIN and Great Basin College are active providers in the community. For a complete list of the State of Nevada approved training providers, click here, or Contact Us for more detailed information about programs in the area. Lander County is located in North Central Nevada, along I-80 on the county’s northern end and Highway 50 (“The Loneliest Highway in America) at the southeastern end. Lander County as it exists today is indebted to tough individuals who, long before highways and railroads, braved life in Nevada’s high desert to pursue mining and ranching interests in its arid desert valleys. Battle Mountain was founded in 1870 with the building of the first transcontinental railroad. From 1843 until 1859 the Humboldt River was the highway across Nevada. It has been estimated that some 200,000 people took this route ”The Trail of the Forty Niners” to California. By comparison 53,000 people traveled the Oregon Trail during the same period. From Battle Mountain, Lander County’s seat of government, to Kingston, a smaller planned community of retirement and vacation homes, to Austin, a tourist destination 89 miles to the south, there are many things to do and see. For a complete list of the State of Nevada approved training providers, click here, or Contact Us for more detailed information about programs in the area. Lyon County is in west central Nevada on Highway 95A from the north, or SR 208 or 339 from the south. Yerington, one of only two incorporated cities in Lyon County, has been the County seat since 1911. Lyon County offers a rural, yet modern lifestyle and is one of the leading agricultural areas in northern Nevada with approximately 50,000 acres under cultivation. Other communities in Lyon County include: Smith Valley, Wellington, Silver Springs/Stagecoach, Dayton/Moundhouse, and Fernley. JOIN has an office in Fernley that is committed to strengthening the community’s workforce. For a complete list of the State of Nevada approved training providers, click here, or Contact Us for more detailed information about programs in the area. Mineral County is in Nevada’s interior, on Highway 95, where a true “Nevada atmosphere” combines western flavor with an excellent business climate. Mining communities and ghost towns – some dating back to the 19th century – dot the county. Mineral County offers an attractive business climate and a variety of recreational activities and attractions. The Mineral County Economic Development Authority is a valuable source of workforce and economic information for the county. The Hawthorne Army Depot is the county’s main employer and has been the hub of activity in Mineral County since 1941. For a complete list of the State of Nevada approved training providers, click here, or Contact Us for more detailed information about programs in the area. Pershing County is located along Interstate 80, approximately 90 miles North of Reno, Nevada, in the Humboldt River Valley. Pershing County maintains a friendly rural atmosphere and a high quality of life and offers visitors numerous recreational and historical points of interest. Some of these include: Giant Tufa Fields, Prehistoric Habitats, Ancient Geological Formations, Ghost Towns and Old Mining Areas, the Emigrant Trail, and the Beginning of the Infamous 40-Mile Desert. Lovelock is the county seat and also the center of economic activity in Pershing County. Although Pershing County is primarily an agricultural community one of the main employers in the county is the state prison located just outside of Lovelock. For a complete list of the State of Nevada approved training providers, click here, or Contact Us for more detailed information about programs in the area. Due in part to its exquisite location less than a half-hour from Reno, Storey County is growing and with that growth has come an expansion of services. Visitors to Virginia City often fall under the spell of dream-scape vistas, but just beyond those vistas, the Tahoe-Reno Industrial Center (TRI) one of the largest and most technologically and environmentally sophisticated industrial parks in the country is beginning the transformation of Storey County from a place that resides in historical memory into a powerful business center for Nevada in the 21st century. The workforce of Storey County is quickly advancing to meet the needs of the dozens of new employers in the county. Community Chest is a program funded by Nevadaworks that is committed to meeting the needs of the community. For a complete list of the State of Nevada approved training providers, click here, or Contact Us for more detailed information about programs in the area. Washoe County is a growing area located along the eastern slopes of the Sierra Nevada Mountains in Western Nevada. The county covers an area of 6,600 square miles in the northwest section of the State bordering California and Oregon and has a population of 333,566. 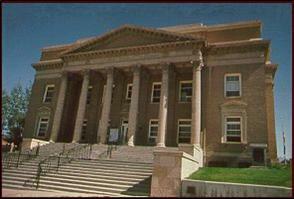 The county seat is the City of Reno, the third largest city in Nevada. Other communities in Washoe County are Sparks and Incline Village, at Lake Tahoe. Recreational activities abound, including skiing, fishing, lakes and hiking, all within minutes of the metropolitan area. Citizens enjoy cultural events, quality public schools, and excellent public services. The economy is growing, housing is plentiful, and the cost of living is moderate. With a steadily growing population, Washoe County has many facilities that are focused on developing a skilled and flexible workforce that is ready to meet the needs of business in the 21st century. University of Nevada, Reno, Truckee Meadows Community College, National Career Skills Institute, and Career College of Northern Nevada are just a few of the many educational institutions that are striving to develop this workforce. Also active in the community workforce development are JOIN, ProNet, The Ridge House, Disability Resources – New2U Computers, Bristlecone Family Resources and Community Services Agency. For a complete list of the State of Nevada approved training providers, click here, or Contact Us for more detailed information about programs in the area. White Pine County is located in the rugged, high desert region of eastern Nevada. Ely, the county seat, is situated at the intersection of Highways 6, 93, and 50, which is often referred to as “the Loneliest Road in America”. The county lies at the eastern end of Nevada’s famed pony Express Territory. Nearby are numerous recreational areas, including one of the country’s least crowded national parks, Great Basin National Park. Here also are the spectacular Lehman Caves, with exotic rock formations found in no other cave in the world, and the high mountains that are home to the most southerly glacier in America and to several stands of Bristlecone Pine, the oldest living things on earth. A satellite campus of Great Basin College is located in Ely that is closely working with the county and other agencies to meet the needs of area employers. For more information about training opportunities in White Pine County, contact the JOIN office. For a complete list of the State of Nevada approved training providers, click here, or Contact Us for more detailed information about programs in the area.